I love eggs. They’re probably my favorite food. I eat eggs almost everyday but not lately because I’ve been a fatass since my vacation, Thanksgiving etc. 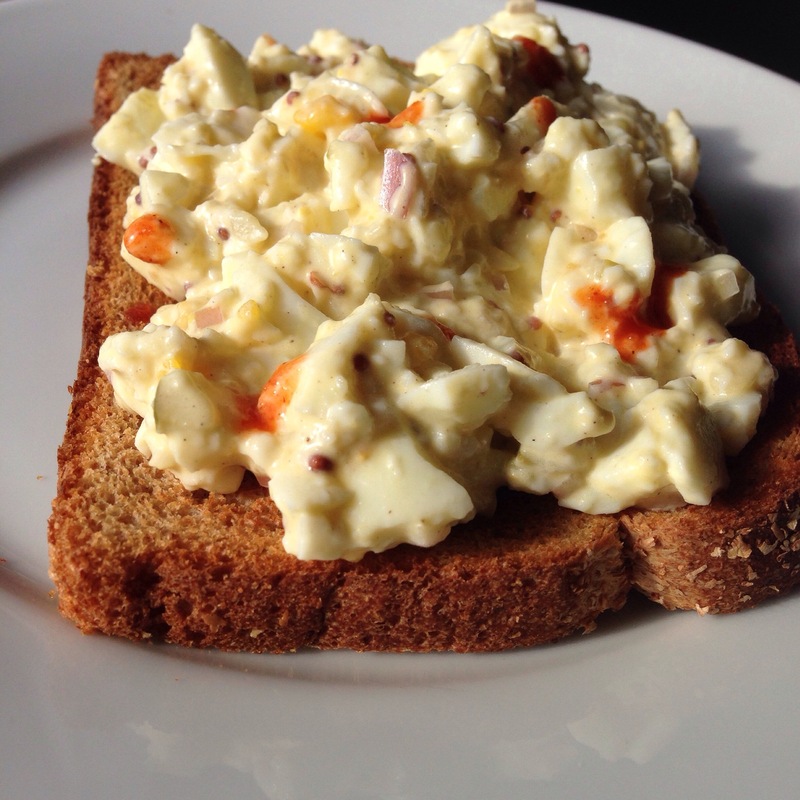 Today, I had an intense craving for egg salad but since I’m trying to eat healthy again, I wanted to make a lite version without so much mayo (FAIL btw) and using mostly egg whites. That’s it. Lol. I literally just take a spoon and mash everything together and chop up the eggs at the same time. I also do it in a Tupperware so there’s less dishes to clean and storage is easy. Remember to add mayo gingerly. I love mayo and used a heavy hand instead of adding little by little. So it was not as healthy as I intended but it was delicious. I also added a few drops of habanero Tabasco to my open faced sandwich to make it spicier. Enjoy!